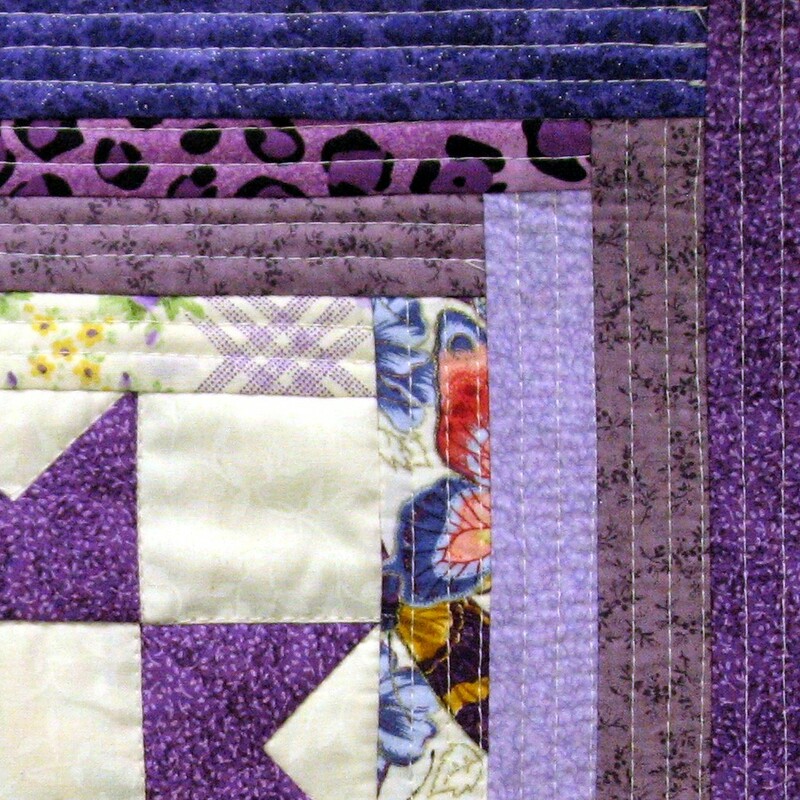 New Quilt Blocks . . . It’s a Boy! Some cute new blocks for you to sew together! Hopefully, baby girl blocks will follow soon! These squares are made of coordinating 100% cotton prints. Each motif is cut, assembled, and fused to the square by hand. You can view them in my Etsy Quilt Shoppe here! I can tell that these quilt blocks are going to be addicting! 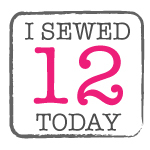 here this blog by SewTakeAHike! the Quilter’s Cache for the center . . .
inspired me to rethink my scrap stash! Now, what color to pick next . . . ! A quilt block — with possibilities . . .
of what I worked on today! this time in another set of vivid summer colors! This quilt top is made of coordinating 100% cotton prints. The Jewell’s Handmades Quilt Shoppe is open! 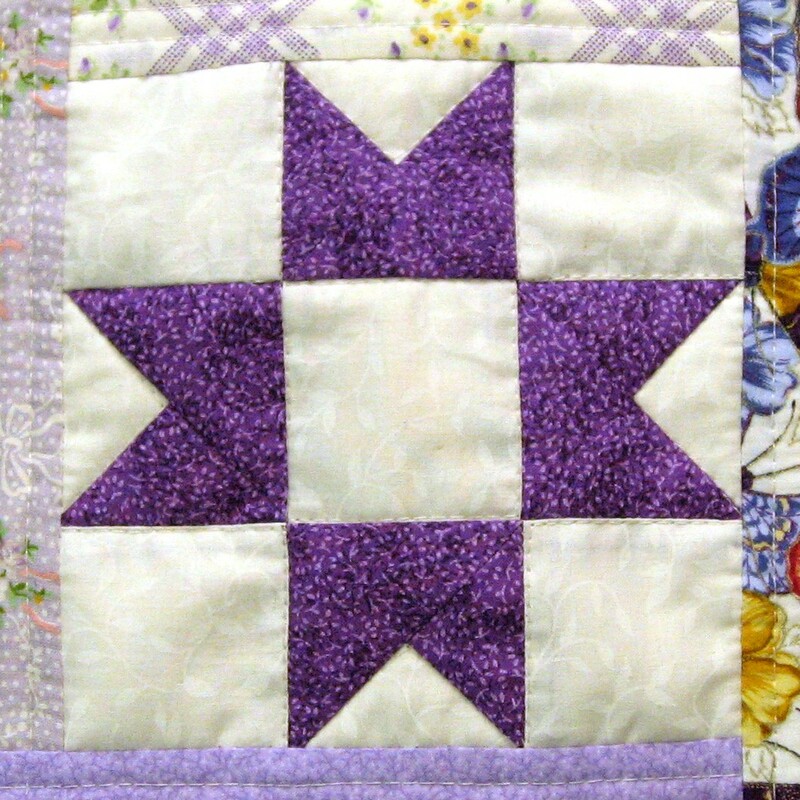 We have begun to list our Applique Quilt Squares in our new Etsy shop! and I am also going to be listing a quilt top as well! I decided to go ahead and add sashing to the daisy blocks for a small quilt top! This will be added to our new Etsy shop shortly! I will announce here when it is open!